We have noticed a rather curious tendency inside the marketers’ community, and we find it really hard to explain. Surprisingly, there is a trend of leaving email marketing behind in favor of other marketing tools. If you type ’email marketing dead’ in Google search engine you will quickly find over 93 thousand results on that topic. The truth is that these words are found in articles, columns, and blogs in headlines such as ‘you may think email marketing is dead, however…’. The marketers who hurry to follow the trend are sure to end up very disappointed. Because email marketing is anything but dead. In fact, email marketing is the evergreen channel: it has proved to be effective in many industries and it belongs to the top 3 three best marketing channels. Email is all about trust: according to Marketing Land research, 77% of users consider email to be the most preferred channel for promotional letters. As per Thindata study, over 80% of marketers point out email marketing as the best performing media buy (by the way, display marketing, and search engine marketing stay far behind). Tech advancements such as machine learning and AI open new doors of perception for email marketing as an even more powerful tool: knowing consumer behavior empowers it to be nuanced, deeply personalized, and predictive. Despite the common delusion about email marketing fading away, the number of email users is expected to reach about 3 billion users across the globe. That is one-third of the planet’s population (Radicati Group data). As long as people are flooded with information of different kinds, they are picky and do not want to see anything irrelevant. In the case of email marketing they give their permission to receive letters, thus, are much more receptive to them. Speaking of targeting, email allows communicating directly with people who are genuinely interested in the product/service as well as content. More than that, email is still a letter, which remains the most personal and private way of communication. This is an effective tool which provides a high-quality audience: a click-through means a customer saw the subject line, read the letter, and found time to visit the site. That is, this visitor is not a random one. Last but not the least — email marketing works perfectly well in terms of ROI generation. Now let’s proceed to killer tactics, tips, and secrets that will help build a subscriber list. It is vitally important to create a high-quality newsletter, designed for a specific audience. This is a starting point, and where many people tend to fail. Marketers seem to neglect the crucial milestones — which inevitably leads to frustration. What I mean by high-quality newsletter is that you have to constantly revise it to make sure it is perfectly-structured and hits in the right spot. A killer newsletter requires consistency: a new issue should be published every week. This makes it possible for the customers to count on the delivery of the promised and turn reading into a habit. Note: the newsletter should not contain content such as funny cat videos one week and news of the day the next week. The newsletter must contain actionable material for improvement whether it is work, life, art, or other — it is meant for one particular person, but not for everybody. Have a look at your mailbox. Apparently, it is flooded with different sorts of emails — professional, promotional, and personal. The subject line is the first thing that a user sees and based on it he decides what to do with the letter. This element has a specific aim which is to appeal to the reader and enhance engagement rates. The way we see a strong subject line — it is short, it has a description, and it definitely promises something. Underestimating the power of the subject line is actually a common mistake, whereas this area deserves a lot of attention, deep knowledge, and creativity. Dive into different formulas, styles, and creative tools. It is common knowledge that top marketers create landing pages for each marketing campaign and this practice pays off. We highly recommend creating a landing page for promoting any newsletter provided it is committed to the laws and rules of a perfect landing page. A minimalistic page without distractions, describing the benefits of subscription will do well. For instance, in case the product is related to education, it is important to list all the advantages a user will get after training is completed. This is a good trick to remember: adding a newsletter to the navigation bar is another way to promote a newsletter, it actually doubles the chance that a letter will be read. The step is all about making things easier for a visitor — it is a perfect chance to appeal directly to the target audience and help them learn more about what they are interested in. Some people hate pop-ups, but that attitude stems from mismanagement and inept approaches marketers often resort to. In cases where they are handled properly, pop-ups work really well. A customized and simple pop-up should be used to encourage visitors to subscribe. In order to take the maximum advantage from this tool, one has to apply a smart technique. 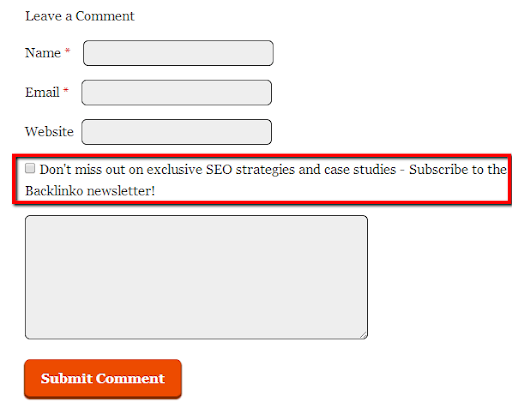 It implies triggering visitors to subscribe via using the most powerful and popular article for the role of the hook. Once a user enters the email, he is instantly redirected to that very article. Turn to Google Analytics to define the best-performing article. Somehow this tactic is underestimated by many, however, it is pretty effective and can boost conversions. There are a number of plugins that enable putting the subscribe box in comment form so that a visitor can express their thoughts on the blog post and subscribe to updates at the same time. Compelling content is the source of the unique value for a user’s online experience. Let’s face it: people love touching stories, so there has to be an appeal to feelings, emotions, challenges, etc. The creation of the email campaign works in two directions: relevant content meets the interests of the audience and transmits the message of the brand. Dynamic content is the connection with the client as today we are all wired for well-told narrative: first people feel something and then they buy products. Connecting with the clientele on a personal level is the backbone of long-lasting, trustful relationships which in its turn boosts engagement and conversion. Sheena Iyengar, a Columbia University psychology professor, described in her book ‘The art of choosing’ how demotivating numerous choices can be. Her study reflects on the way people react to an abundance of choices, specifically, how multiple options lead to action paralysis — that is: no action at all. Multiple choices really encourages engagement, however, fewer people make a purchase after all. In this case, providing a minimal number of options would be good: one email, one goal rule, and one sought outcome. Remember the following: asking for many things equals asking for nothing, as people get overwhelmed and simply leave. A subscription form can be disguised in an interesting quiz: integrating a test requires the user to subscribe in order to get an answer. In this context, designing a quiz demands to know the target audience well to be aware of the challenges, life questions, thoughts, feeling, and fears. For instance: ‘Building a successful career has been an important question for you? We know how to build an upward career path. Get started by testing your competence’. A subscription box with a ‘Start the test’ CTA button is sure to boost conversions. The quiz should be highly relevant to the target audience — that is the only way a quiz will work. Let’s turn to figures: subject line personalization provides 760% growth in email revenues when email campaigns are targeted and segmented (data from Campaign Monitor). The effective segmentation is fulfilled by collecting data on customers via signup forms. Also, you can segment an email list by customer journey and email activity. We recommend using credible email marketing automation tools to implement workflows and send out relevant, timely, and consistent email campaigns. Well, of course — these are the fundamentals. The main idea of this blog post is that email marketing will hardly ever fade to grey, and innovation will only make this tool more and more powerful over time. Stay tuned, and we will give you more.